Foyle Maritime Festival Kicks Off Promotional Campaign at London Boat Show | SCENE! 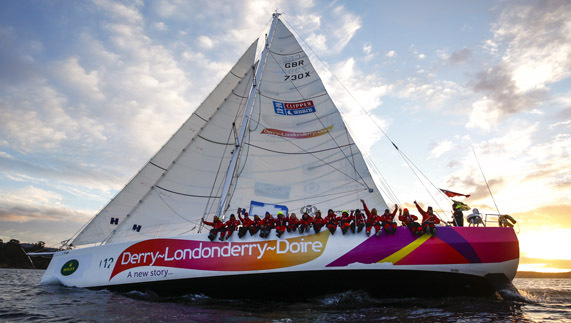 The countdown is on to the highly anticipated Clipper Round the World Yacht Race stopover and Foyle Maritime Festival which will be hosted in the city from 9th – 17th July 2016, and the London Boat Show is the ideal platform to kick start the festival’s promotional campaign to a captive audience with a keen interest in sailing. John Pollock, CEO Loughs Agency, welcomes the prospect of Clipper returning to the Foyle, pleased that ‘the event will capitalise on Loughs Agency’s investment in pontoon facilities in the city centre as well as at Greencastle’.